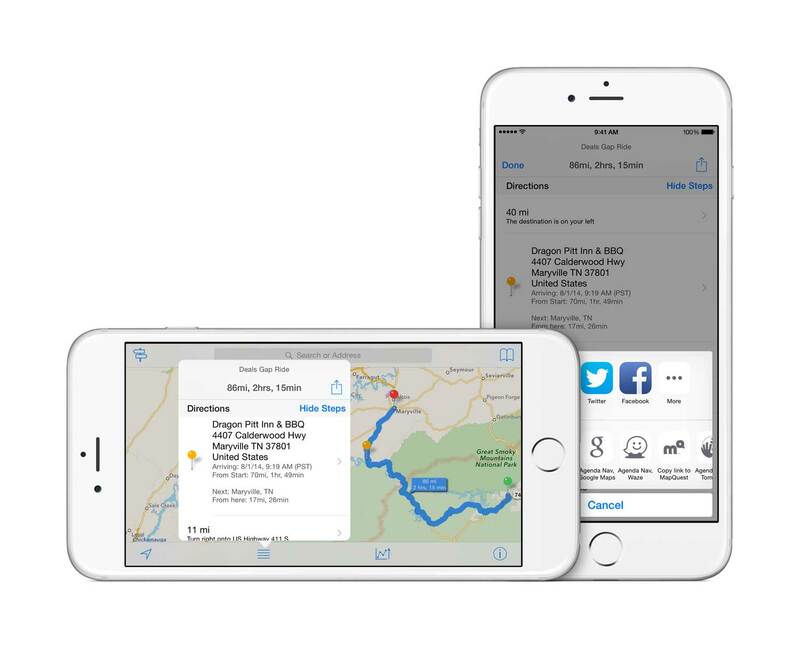 inRoute 3.6 is now available with several enhancements to make planning your next road trip easier than ever! With recent updates to inRoute’s web services, inRoute can now plan routes in 70 countries! For the latest availability, refer to the FAQ. * Route elevation charts are currently limited to latitudes 56°S to 60°N. 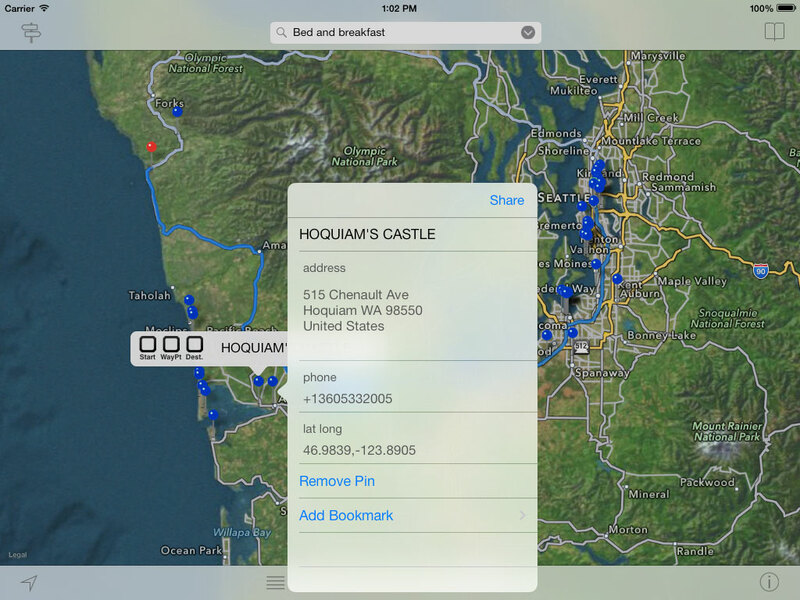 inRoute version 3.5 has been released, with a new custom route feature, bookmark enhancements, and more! • Customize routes – Go your way! 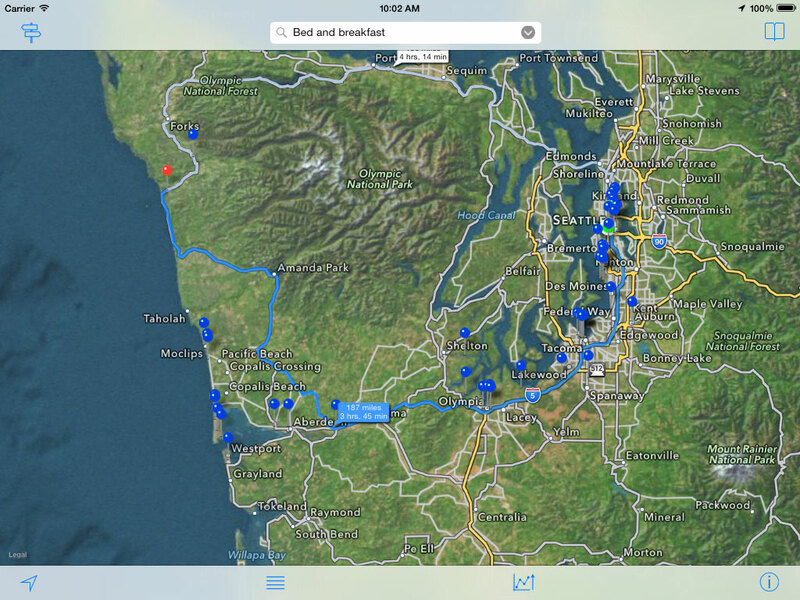 A new ALT button on map pins enables you to view available alternates for each leg of your route. Using inRoute’s data charts, you can select the best route for you according to the alternate’s weather, elevation and/or curviness. 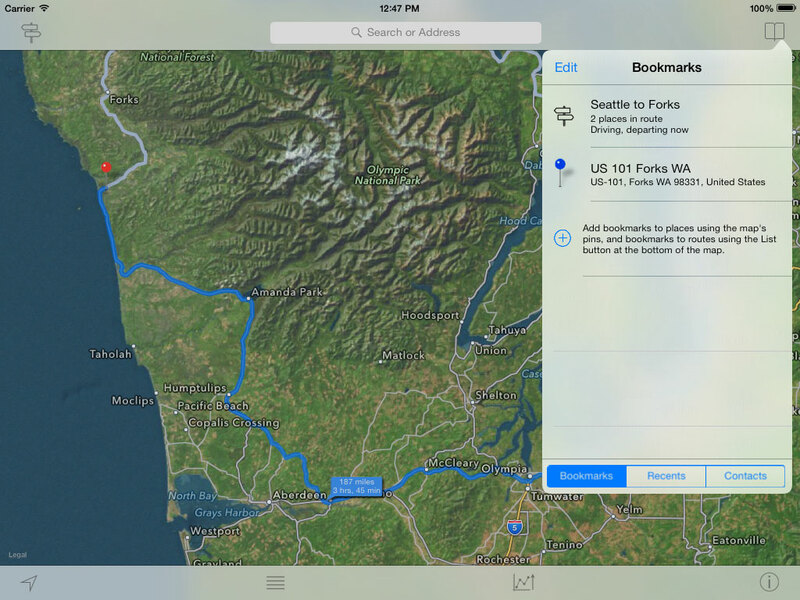 • Bookmark updates – Create folders and organize your bookmarked routes and places. Select multiple bookmarked places, or entire folders, to add to the map at once. 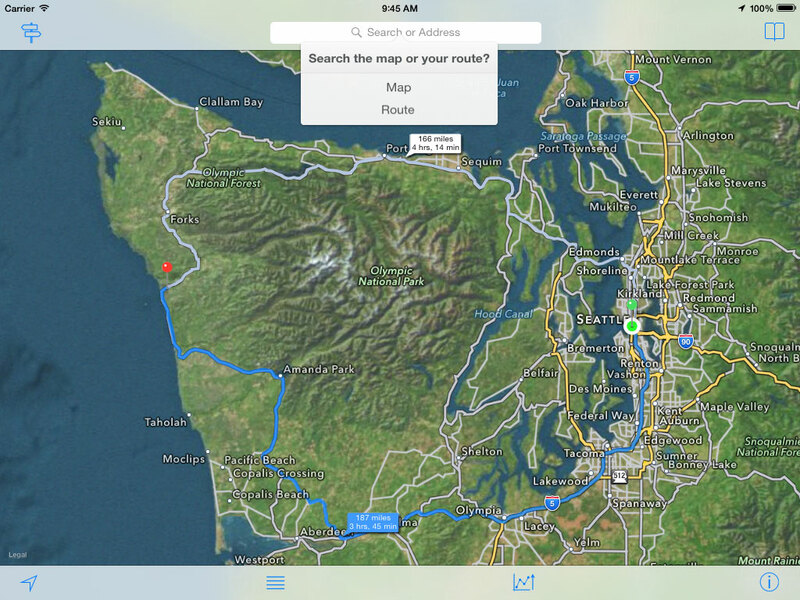 • Walking route speed – Using inRoute’s walking routes for cycling or running? You can now override the default average speed for more accurate travel time and weather estimates. 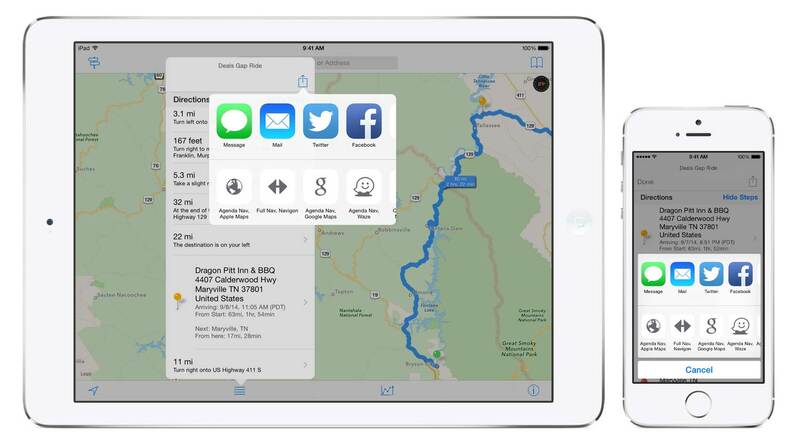 inRoute version 3.1 has been released, featuring a new iOS 8 app extension, layover improvements, new Agenda Nav controls, ability to add notes to map places, and much more! 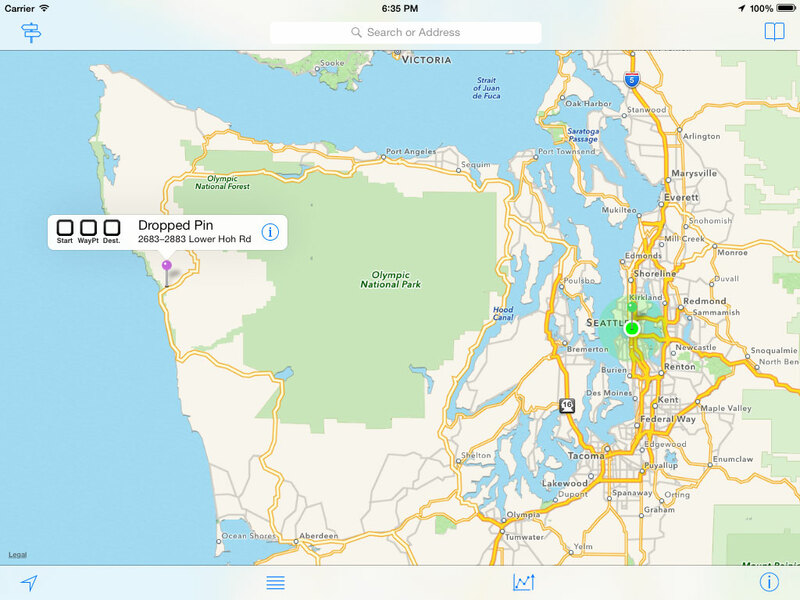 • New inRoute app extension for iOS 8 is the easiest way to import addresses into inRoute. Just tap the Share icon from any webpage or Notes and the inRoute extension will find the page’s addresses! To install, tap the “More” icon on the second row of the share screen. 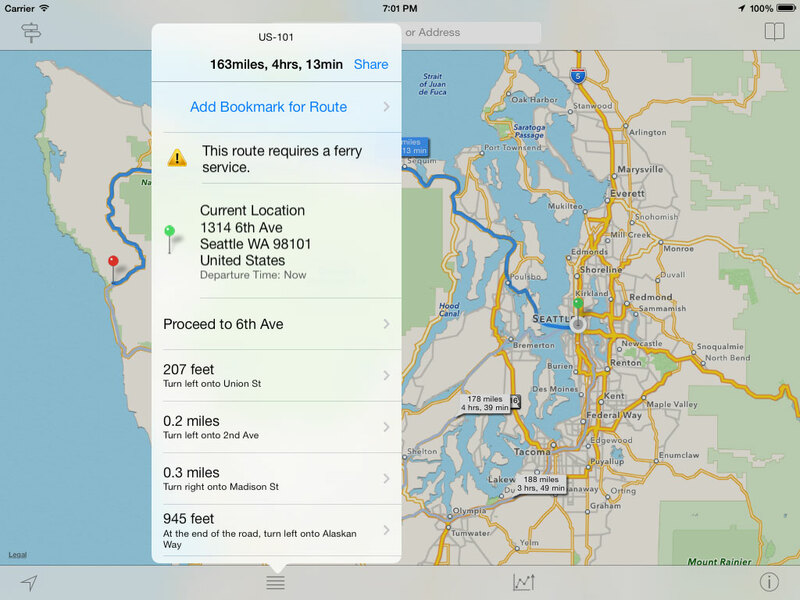 • New Agenda Nav controls to improve navigating routes in Apple Maps, Google Maps, Waze, or TomTom. You can now send again, or skip, any location in your agenda. 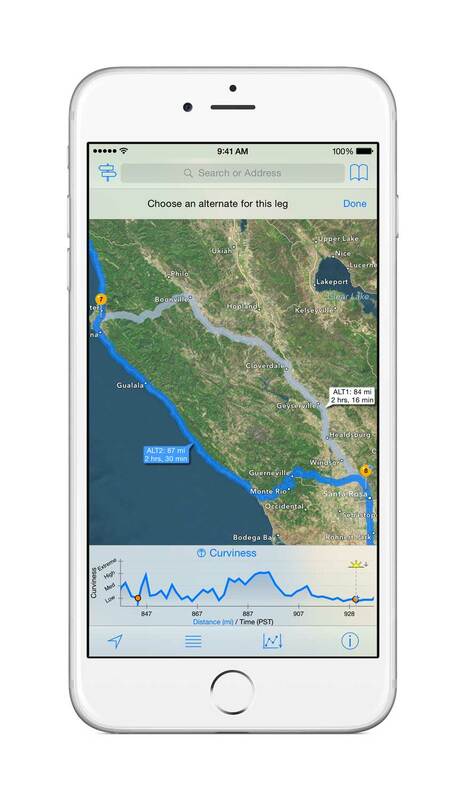 inRoute version 3 is here, updated for iOS 8, and ready to not only plan your next route, but help navigate it too! 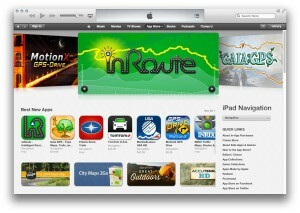 inRoute was featured on the TODAY show as one of 6 apps you need to have for your summer travels. Check out the clip below! 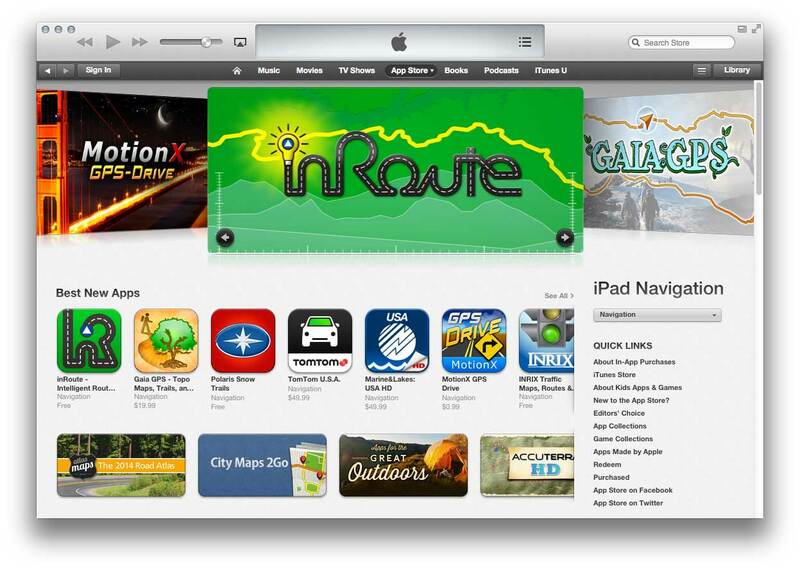 We’re proud to announce that Apple is now featuring inRoute as Best New App in the App Store Navigation Category. Check us out! Note: inRoute’s interface has changed since this guide was written. 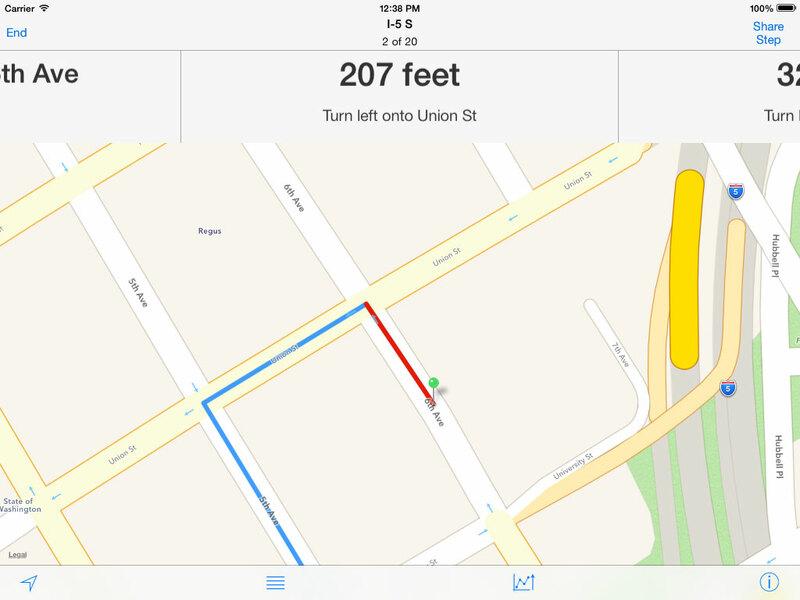 For an up-to-date tutorial, tap the Info icon at the bottom of inRoute’s map, then “Tutorial”. Welcome! This is the first in a series of guides for our recently released app inRoute. While later guides will cover more specific use cases and advanced features, this guide is a general overview of inRoute’s interface and operation. You can click the first image and use the image browser to step through the photos/captions, or just scroll through the guide below. 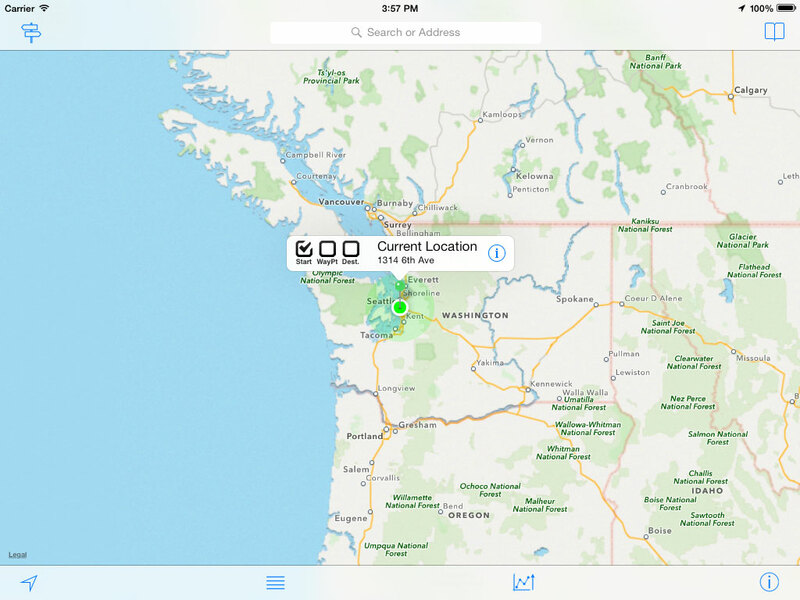 When you first run inRoute, the app will request your current location. After accepting, the current location becomes the starting place in your first route. The checkboxes on map pins allow each place to be set as a Start (green), Waypoint (orange), or Destination (red) place. Add another pin to the map by pressing and holding on the screen to drop a draggable pin (purple). Check the Destination box and the fastest route will be shown in blue (assuming a nearby road connecting these places exists). Congratulations, you’ve created your first route with inRoute! 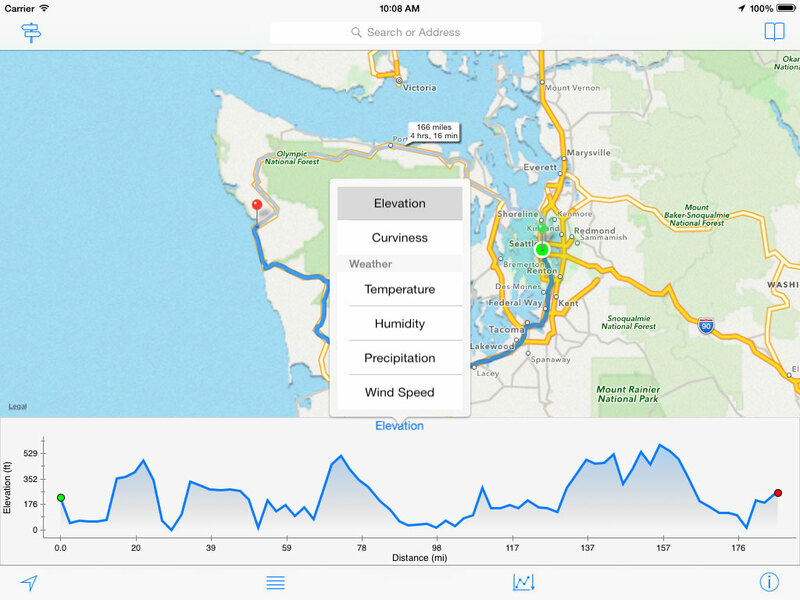 Selecting the Charts button at the bottom of the map will show the Elevation chart. The first time the chart is shown the list of all available charts will appear, demonstrating that the chart title is also the button that allows changing the chart type. The map region and the chart region are linked. Zoom or pan in one and the other updates, and vice versa. Symbols representing the map pins are shown on each chart. Alternate routes show in grey if available*, and can be selected by tapping the route line or their time/distance annotation. *Alternate routes may not be available for some Start/Destination combinations, and are not available when Waypoints are included in a route. The Route button shows route parameters for currently shown routes. You can automatically reorder Waypoints for optimal (fastest) route; change from a Driving route to a Walking route; set the route’s Departure Time, so weather forecasts and expected road conditions (e.g. congestion) can be tailored for your route; and, the places currently in the route can be manually reordered or removed from the route using the Edit button. The List button shows the selected route’s turn-by-turn directions. The option to “Add Bookmark for Route” will save the current route parameters to the Bookmarks button at the top of the map, and “Share” allows sharing the route to social media or transferring to other apps and in-car GPS compatible with GPX files. 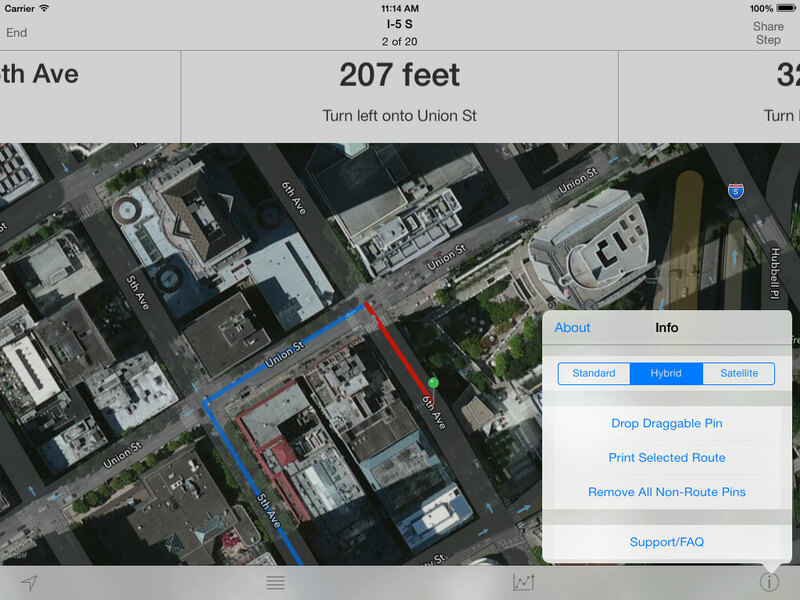 Overview mode lets you visually see and step through the turn-by-turn directions. Swipe the text directions left or right to step through the directions in order. The List button at the bottom of the map remains available to allow jumping to a specific step. In this mode, you can “Share Step”, for those times when you want to share or transfer an interesting step of a route but not the entire route. 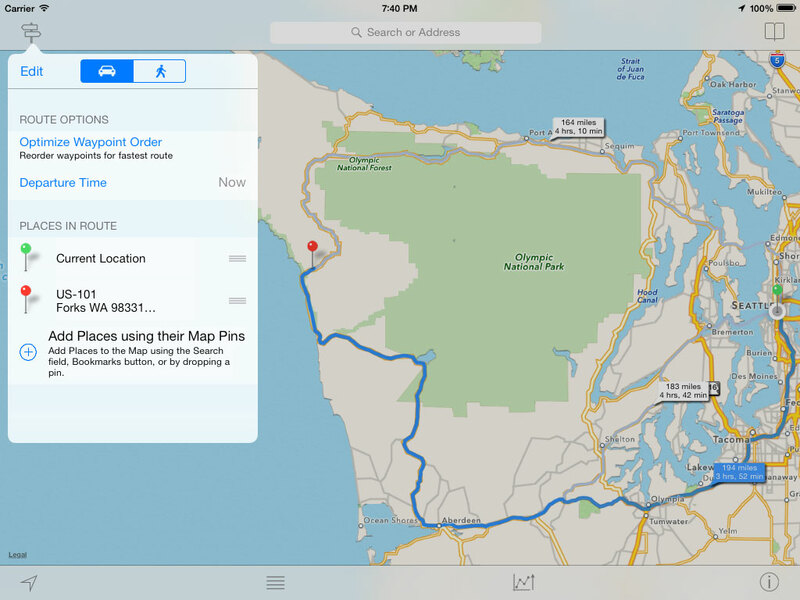 The Info button at the bottom of the Map allows you to change the map type, print to Airprint-compatible printers, and remove all pins from the map that aren’t currently in a route. There’s also an in-app FAQ and contact email for support. Tap “End” to exit Overview Mode. 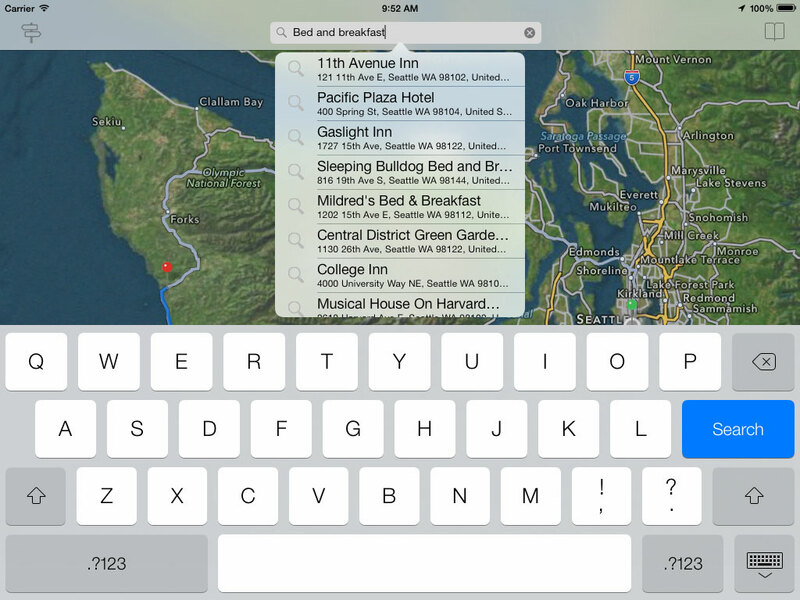 The Search bar can be used to find places using natural language search terms or addresses. When a route is selected, you can optionally search the corridor along the selected route as well. The search results automatically appear in a list and can be selected one-at-a-time to drop a single pin; or, you can tap the blue Search button to drop pins for all the search results on the map. Shown above is the result of tapping the Search button to drop pins for all search results. Tip: Searching along a route, in particular, can result in a large number of search results. If you find you’ve dropped many pins onto the map and want to remove them all, use the “Remove All Non-Route pins” option under the Info button at the bottom of the map. Each pin’s info button shows additional information, and places can be shared, transferred to other apps, and bookmarked. The Bookmarks button contains 3 tabs: “Bookmarks” shows route bookmarks created with the List button as well as place bookmarks created using the map’s pins; “Recents” shows recent route, places, and search terms; and Contacts shows the user’s Contacts. 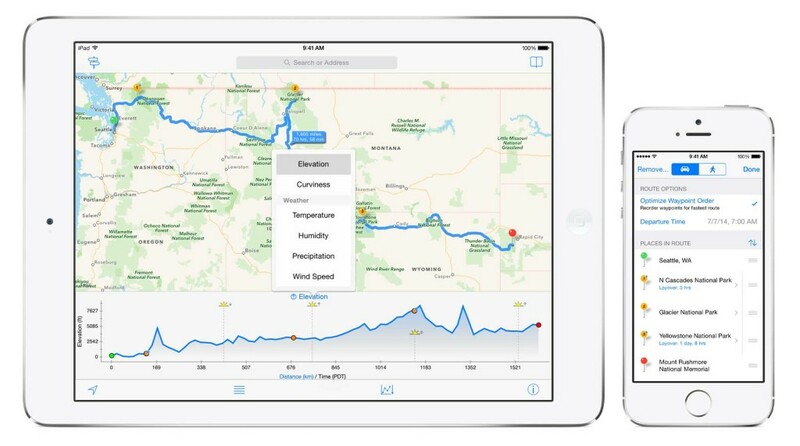 inRoute, the Intelligent Route Planner for the iPhone and iPad, has been updated with new weather charts, improved route information including time/distance to waypoints, and more!